Fill your room with springtime freshness year round! 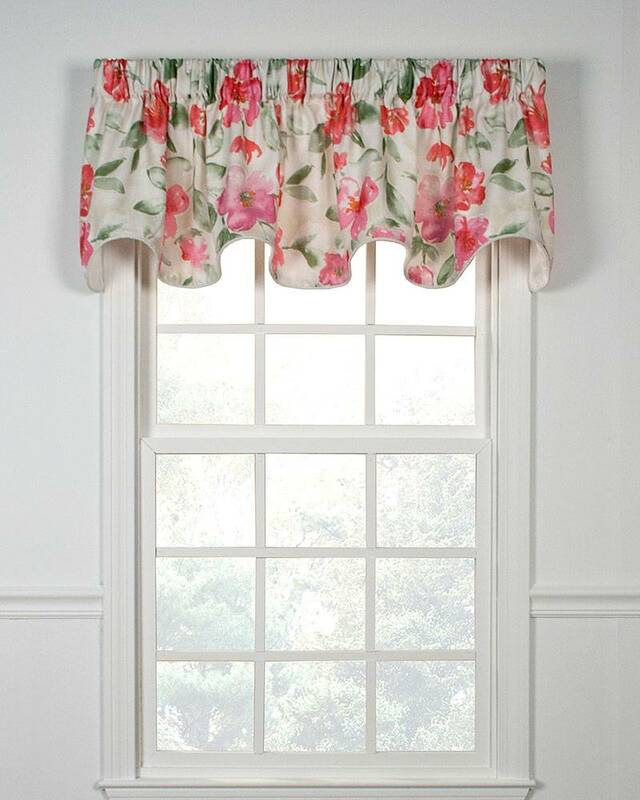 Arden Lined Scalloped Valances showcase a water color floral pattern printed on textured polyester fabric that has an incredibly soft hand and elegant drape. With an eye-catching color pallet of pink, lavender, and green against an off white background, this beautiful valance has a twisted braid trim along gracefully scalloped bottom edge of the valance. Measuring a generous 70 inches wide, this valance will cover windows up to 50" in width. For wider windows, simply shirr on additional valances. Fully lined and easy care machine washable.